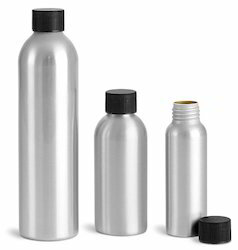 We are a leading Manufacturer of brushed aluminum bottle, aluminum bottle, polished aluminum bottle, pesticide aluminum bottle, dome aluminum bottle and aluminium water bottle from Mumbai, India. 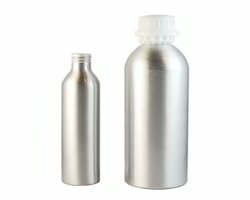 Backed by our skilled professionals, we are engaged in offering an extensive range of Brushed Aluminum Bottle. With the support of our expert teams, our offered bottles are manufactured in strict compliance with the international quality standards. 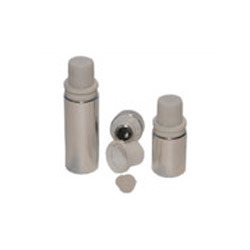 The offered bottles are commonly used for packaging perfume spray, attar, pesticide, essential oil and many more. In addition to this, the bottles offered by us can be availed by our clients at feasible prices. Leverage on our vast industrial experience, we offer a wide gamut of 500 ml & 1.5 kg. Aluminum Bottle. In tandem with the latest industry standards, our offered product is manufactured using supreme quality aluminum under the strict supervision of our adroit professionals. Owing to its silent features, our offered product is highly demanded in the market. Moreover, our offered product can be availed by our clients at industry leading prices. 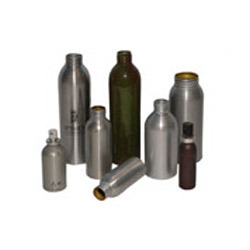 We are dealing in wide range of Aluminum Bottle.Further, in order to cater to the variegated needs and requirements of the clients, these products are are offered at highly competitive rates. We are actively engaged in offering an exclusive range of Polished Aluminum Bottle that is available in various sizes, shapes and dimensions. The offered bottles are manufactured using high grade aluminums and the latest tools & equipment in conformance with set universal standards. 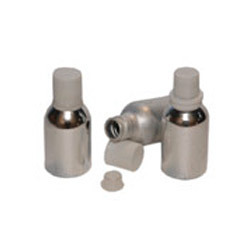 These bottles are ideal for packaging for perfumes, attars & other aromatic chemicals. Moreover, our offered bottles can be customized in order to cater to diverse requirements of our clients. Being a prominent organization, engaged in offering a high quality Pesticide Aluminum Bottle. After manufacturing, our offered bottle is passed for testing on various parameters in order to maintain its adherence to the international quality standards. The offered bottle is highly used in cosmetic packaging, metal perfume bottles and spice jar industries. Furthermore, our offered bottle can be availed by our clients at reasonable price. As a prominent organization, we are engaged in offering a premium quality Dome Aluminum Bottle . Our offered bottle is not only manufactured using cutting edge technology but also strictly examined on various parameters in order to maintain its adherence to the set universal norms. The offered bottle has gained exceptional value in the market for its salient features. Available in various specifications, our respected clients can avail this bottle from us at nominal price. With wide and rich industrial experience, we are able to offer a premium quality 100ml & 250ml Aluminum Bottle. 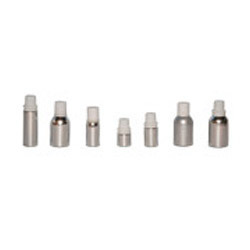 The offered bottle is manufactured using premium quality aluminums and sophisticated tools & machines in accordance with the set industry standards. The offered bottle is available in various sizes, thickness and other specifications as per requirements of our clients. Moreover, we offer this bottle to our clients on stipulated time frame. 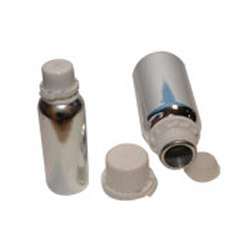 As an esteemed name in the concerned industry, we are engaged in offering a superior quality Aluminum Oil Bottle. keeping track of the set industry standards, we manufacture these bottles using advanced tools and premium quality aluminum. Moreover, post manufacturing process goes through a series of quality tests under the strict vigilance of our quality inspectors. 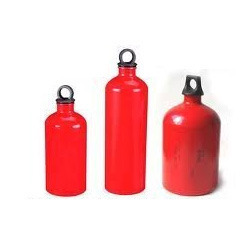 The offered bottles are available in various sizes, thickness and weights in order to fetch maximum satisfactions for our clients. Our company is a reckoned entity, engaged in offering an excellent quality Screw Neck Aluminum Bottle. The offered bottle is used for packing perfumes, pharmaceutical raw materials, pesticides, insecticides, chemicals and agro chemicals. with the help of our talented team of professionals, our offered bottle is manufactured using supreme quality aluminum and modern tools & machines. Additionally, our offered bottle can be availed by our clients at competitive price. 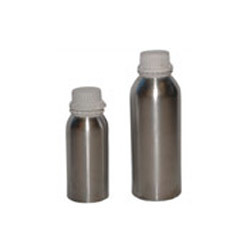 We have firmly positioned ourselves as leading manufacturer and supplier of 25 ml Aluminum Bottle. The offered bottle is highly demanded by our clients for sandalwood oil packing purpose. In conformance to the industry set standards, our offered bottle is tested on numerous quality parameters to ensure their quality and finish. Apart from this, the bottle offered by us can be availed by our clients at effective cost. 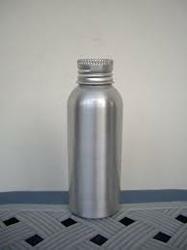 Looking for Aluminum Bottle ?